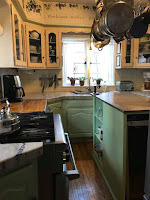 Lines from Linderhof: More Polishing . . . .
Alas, the polishing is not more copper -- for the kitchen is clean and I've moved to the dining room today. 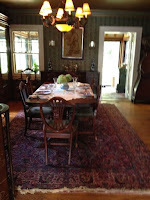 What needs polishing in the dining room is not copper but silver!!!! 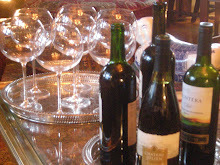 Thankfully, with the Christmas entertaining the candlesticks and tea set were polished and just required a quick wipe. 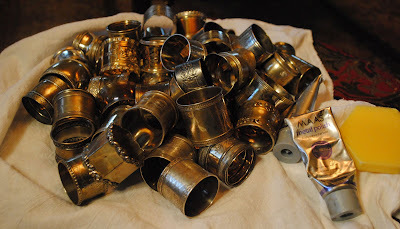 But the napkin rings . . . . 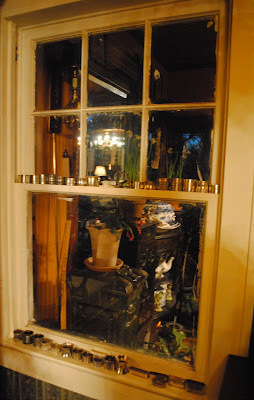 I'd last polished most of them this summer -- it was "occupational therapy" following surgery (my idea of a proper occupational therapy) and although I did polish enough of the napkin rings to hold the napkins at my holiday luncheons, that left most of them needing polished! With a soft sponge, two "flour sack" towels for buffing and my polish of choice -- Maas, I was ready! The rings are actually easy and I watched my favorite TV chef, Ina Garten, while I polished away. 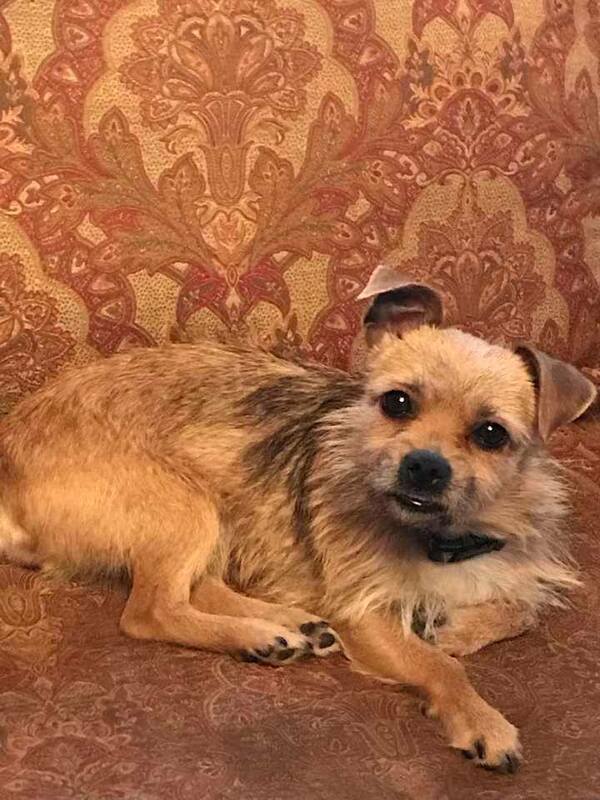 The results are handsome, I think. I love the "ring" of rings around the top of the Asian chest in the dining room -- sort of like a silver crown for that piece of furniture. And the remainder . 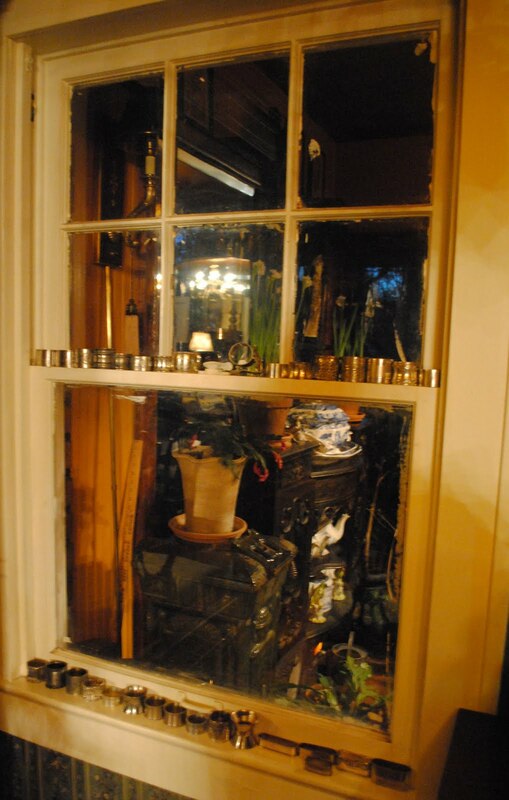 . . go into one of the dining room windows. Alas, with my Christmas presents, I've run out of room!!!! And for the first time, I counted . . . I have 47 of these Victorian gems! All with names or initials. I have napkin rings with my mother's name, my grandmother's initials, husband's grandmother's name and another with her initials, my husband's name, friend Hallie's name but alas, I am still missing a Martha ring!!! With black fingers, I'm off to wash my hands and fix dinner. I'm still in a cleaning mode -- tomorrow the breakfast room!!!! Thankfully, that room contains very little that needs polishing -- although it does have a lot of plants that will need watering! Oh Martha -- come HERE! You can use up any leftover cleaning energy right here. LOVE the silver napkin rings. I spotted a little rectangular one at the bottom window sill -- I have one just like it with my name engraved on it -- yes, a gift at my baptism! My other baptism napkin ring has tooth marks on it; my mother let me teethe on it. I like the crown of rings -- such a sweet touch. Alida and Josh want to get married in the summer -- as in THIS SUMMER!!! I spent all day online researching venues and caterers! At least they want the wedding here, and not in California! She is so excited, and has such a sweet ring; it suits her perfectly. I am still amazed at turning into a mother-in-law so quickly! Happy New Year. You are inspiring me to get away from the computer and grab some trusty old cleaning cloths! I can't think of a more relaxing pastime than polishing silver and Ina Garten (I love her too). You have the mot gorgeous napkin ring collection! The jem contiues to shine! 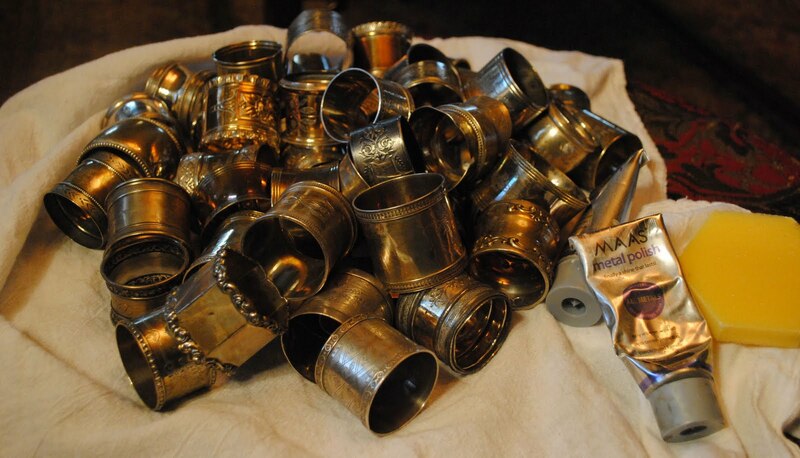 Forty~seven napkin rings. . .WoW! Oddly not one Martha? ? ? If you're like me, it will make for fine hunting. I do enjoy a treasure hunt. After tomorrow, the breakfast room, you'll need to take a break. Get out and enjoy the prairie. News here states bad weather moving into our area Sunday afternoon through Tuesday. Enjoy this warm spell while you can! I'd say you did a labor of love today! Your silver napkin rings are really special! If I ever run into a "Martha", it's yours. Of course, I'll have to deliver it and stay for tea. All of your rings are so pretty. Ah, that lovely gleam from the polished silver - I love it! 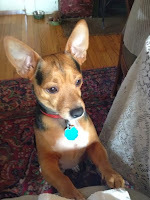 I'll soon start some serious cleaning here too - the dust bunnies are thick enough to spin and knit a sweater with them. 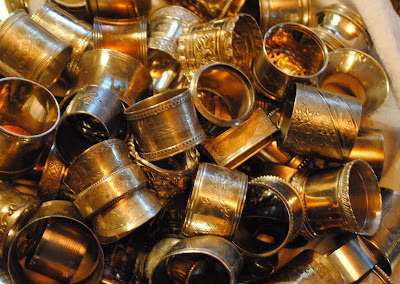 You have a beautiful collection of silver napkin rings. If I get time (and/or still have energy) the dining room will get some attention this afternoon, most likely won't get to the silver polishing. That treat will be saved for another day. I enjoy polishing too. Is that a Spode Tureen I spy through a Linderhof window? Love it! I'll keep an eye out for a Martha napkin ring when we go to the auctions. I can't believe your energy in polishing all of those, and you're still looking forward to more cleaning tomorrow!! It is always fun to look for a name...still looking for Holden.